EVERYBODY loves a bargain, the sense that we have managed to get something for less than the going rate. But every once in a while, most of us want to try the best, to get a taste of luxury and sample the lifestyle that those people more fortunate than ourselves get to enjoy on a regular basis. 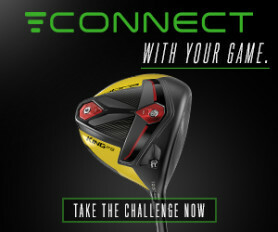 If you are a golfer, it is all well and good to constantly be on the lookout for the best deals. But why not pamper yourself, head off on a luxury break where the quality of the food, accommodation and golf courses are something a little special? And the good news is that five-star golf resorts need not cost the earth, especially if you pick the right time to go. Here, we look at what we consider to be some of the best luxury golf resorts in the British Isles. They all have the same things in common - fantastic food, incredibly well-appointed rooms, great golf courses and the sort of facilities you will not find at your common or garden golf resort. The quality of golf and accommodation on offer at Turnberry stands comparison with any resort anywhere in the world. If you don't fancy staying at the incredible hotel, which bestrides the entire estate and offers views to rival those at Pebble Beach, you can opt for one of the 16 luxury lodges that each sleep up to 16 people. The five-star hotel, which originally opened in 1906, was once owned by British Rail but is now in the hands of President Trump. You can say what you like about Trump - and most people have - but he cares passionately about golf and spent a fortune redeveloping and redesigning the Ailsa course, which hosted the 1977 Open Championship known as The Duel in the Sun. There is also a second course, the Kintyre. 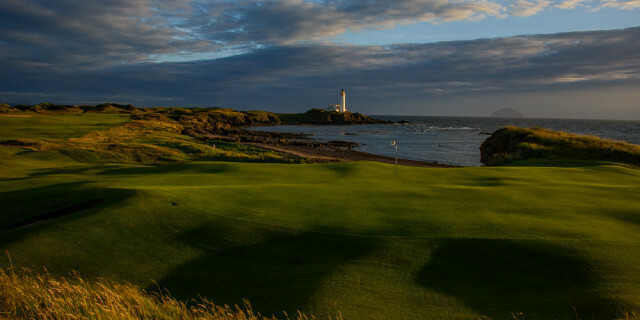 Sadly, the Ailsa course has been removed from The Open rota as a result of some of Trump's rather more controversial views, but you shouldn’t let that prevent you from paying a visit to Turnberry, located on the west coast of Scotland, near Prestwick Airport and less than an hour from Glasgow. Everything about this place screams luxury, not to mention affording visitors spectacular views of the Mull of Kintyre and the Isle of Arran. There is also a fabulous spa, which includes a swimming pool with whirlpool, a vast range of spa treatments and a fitness studio. 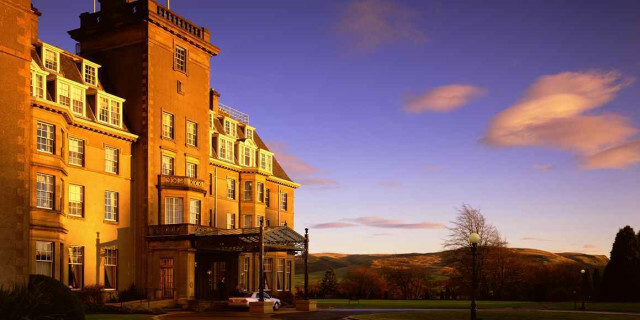 Gleneagles Resort is located in Perthshire, one of the most naturally beautiful parts of Scotland and regarded by most as the gateway to the Highlands. Like Turnberry before it, the world-famous Gleneagles Hotel used to be owned by British Rail and is renowned for the quality of both its food and accommodation. It is a multi-winner of the Daily Telegraph “Best Golf Resort in the World” and it is not difficult to understand why. The hotel is set in 850 acres and features 232 luxurious guest bedrooms and suites as well as the Deseo restaurant, which employs Andrew Fairlie, a two Michelin star chef, as well as the more informal Dormy Clubhouse Bar & Grill, which is the perfect setting for golfers to relax after a round. Auchterarder 70, located within The Dormy Clubhouse, is an atmospheric 1920s-style oak-panelled bar – named after the hotel’s original telephone number – and relatively new, serving craft beer and bar snacks. 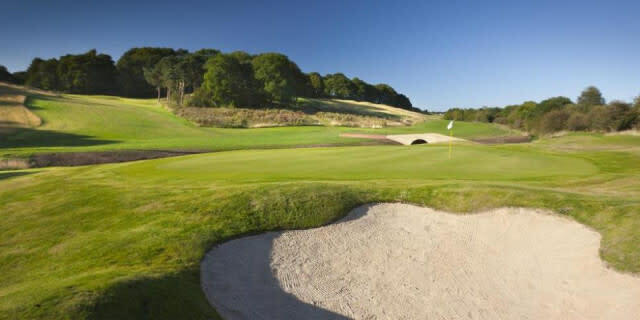 There are three incredible golf courses to choose from - the King's and The Queen's were both designed by James Braid and have changed little over the years, and the PGA Centenary was designed by Jack Nicklaus and, of course, hosted the 2014 Ryder Cup, when Paul McGinley’s European team inflicted a humiliating defeat upon the United States. Each and every one of them boasts wonderful, panoramic views of some of the most stunning scenery on the planet. 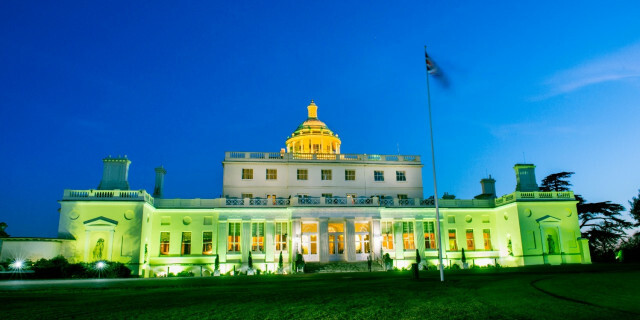 Fans of James Bond will already know that Stoke Park was the venue for the match between Bond (played by Sean Connery) and Goldfinger (Gert Frobe). A scene from another Bond movie, Tomorrow Never Dies, was also filmed here. 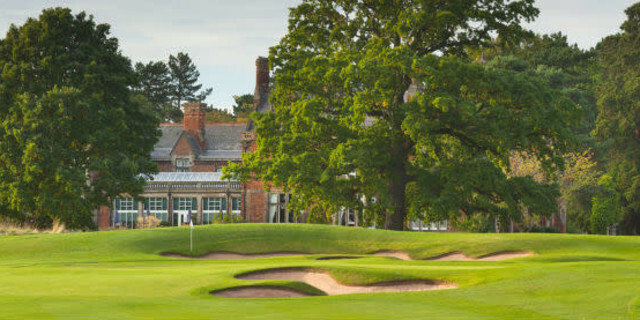 We will get to the golf course shortly, but the outstanding feature at this venue is the hotel and clubhouse, which is located just 35 minutes from London and only seven miles from Heathrow Airport. The five-star hotel, which sits in 300 glorious acres, offers 49 outstanding bedrooms and suites, along with three restaurants, including Humphrey’s, which has been awarded three AA rosettes - and you don’t receive those unless the quality of the food on offer is spectacular. And it is. The golf course, which was designed by Harry Colt, comprises 27 holes in total, and the quality of the fairways and greens will take your breath away. And, hopefully, when you turn up for your round your opponent’s caddie will not be Odd Job! It is a tree-lined masterpiece. On top of that, there are 13 tennis courts, a spa that includes 11 treatment rooms, an indoor swimming pool, huge gymnasium, fitness centre, creche, games room and a playground. If you have ever been fortunate enough to have played at Kingsbarns or Valderrama, you will have some idea of what to expect from your golf at The Grove. All three courses were designed by the renowned architect Kyle Phillips, and many believe that his efforts at The Grove are his best to date - that is some assertion, especially when you consider the incredible drama witnessed over the years at Valderrama, no more so than when Seve Ballesteros led Europe to victory in the Ryder Cup there in 1997. The course at The Grove measures 7,152 yards, is tree-lined and, like most great courses, features some beautiful countryside. The five-star hotel is located in a wonderful 18th Century house, set in 300 acres but just 20 minutes or so from the centre of London. There are 217 individually designed rooms along with a choice of three restaurants, from the formal surroundings of the 3 AA Rosette award-winning Colette’s to the rather more relaxed atmosphere in The Stables or The Glasshouse restaurants. All three serve spectacular food. As you would expect, there is a world-class spa, the Sequoia, which includes a swimming pool, fitness studio, sauna and a range of treatments. 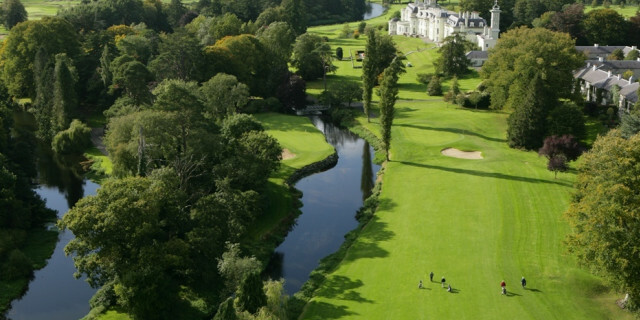 Located near Dublin on the banks of the River Liffey, The K Club is arguably the most famous golf resort in Ireland. And boy has it witnessed some drama over the years, never more so than when Ian Woosnam captained Europe to victory in the Ryder Cup there not long after Darren Clarke lost his wife Heather to cancer. There are two world-class courses here, the Palmer Ryder Cup course, which features plenty of water, and The Smurfit, named after Michael Smurfit, who created this amazing resort. If you can survive 36 holes on these courses and come off the final green with the same ball that you started with then you have played some remarkable golf. Both courses features plenty of undulations and fairways and greens of the highest quality. Set in 700 acres of forest, the level of accommodation on offer is truly amazing, with a range of rooms and suites, some of which feature four-poster beds and a jacuzzi, not to mention an incredible level of furnishings. You have a choice of three restaurants - The River Room Restaurant provides a relaxed and informal atmosphere while offering an extensive a la carte menu and jaw-dropping views of the grounds. The K Thai Restaurant mixes Asian and Thai recipes with locally sourced Irish produce, while The Legends Clubhouse overlooks the Palmer Course and provides a more relaxed environment.The Vintage Crop and Media Puzzle Lounge are two great locations to sample the best Irish whiskeys, fine wines, and other spirits. Guests can also try their hand at falconry, fishing, clay-pigeon shooting, archery and horse riding. Or take advantage of the swimming pool, sauna, jacuzzi, outdoor hot tub, gym, juice bar and Pilates studio and a wide range of spa treatments. Book yourself in at Brocket Hall and you may feel that you are staying a stately house, and you won’t be far off the mark. The accommodation here is located in the luxurious Melbourne Lodge which features 16 spacious bedrooms with original antique furniture from the main house at Brocket Hall. The lodge has been fully restored and offers a genuine sense of history. Every room is unique and is named after a famous racehorse, and features a spacious bathroom and all the amenities you would expect, including 24 hour room service, television, tea and coffee facilities and a telephone. There are two restaurants. Auberge du Lac is located in a former hunting lodge, has been fully refurbished and is known locally for both the quality of its food and for its wine cellar. The Watershyppes Restaurant has an outdoor terrace overlooking the estate. 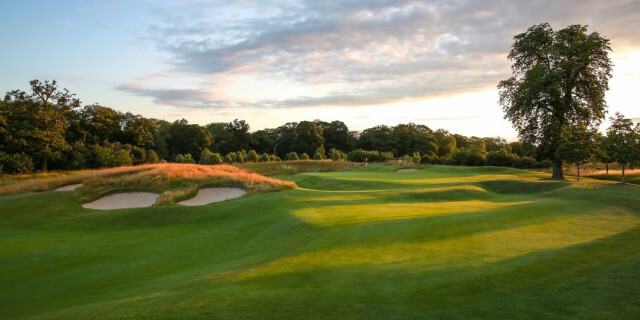 And there are two championship courses, with the Palmerston offering some real challenges for golfers of all standards. There are plenty of natural undulations and the river meanders its way through both courses. A nice touch here is that when you finish your round, your clubs will be taken away and cleaned for you. 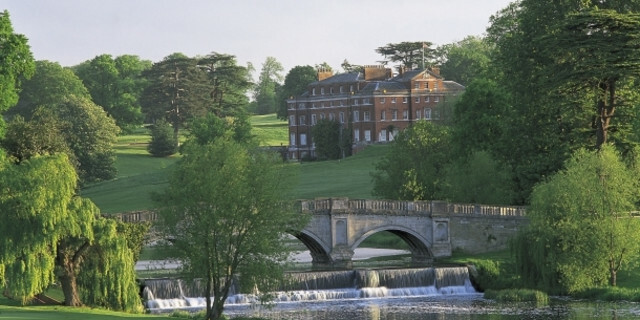 Brocket Hall is located 15 minutes north of Junction 23 on the M25, near Welwyn Garden City. One of the things that all the resorts on our list have in common is their natural beauty, and Bovey Castle is no exception. The 275-acre estate sits within the Dartmoor National Park, about 40 minutes from Exeter, with the hotel offering 60 rooms and 22 luxurious lodges. 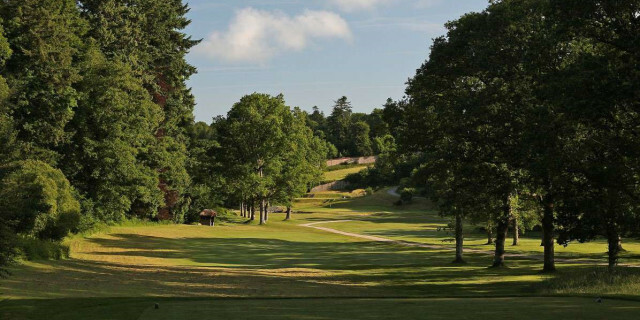 The Bovey and Bowden rivers run through the 18-hole Old Course, adding to both the wonderful scenery and the challenge - this is another course upon which you will do well to start and finish with the same golf ball. The course is tree-lined and the magnificently-kept greens are both small and undulating. Bovey Castle is a five-star resort. As you would expect, the rooms are all of the highest quality and they each provide guests with amazing views of the estate and surrounding countryside. The Great Western is the main restaurant with a menu that focuses on local produce. Smith’s Brasserie is the ideal place to unwind and enjoy a pint and a snack after you have played golf and features a terrace that overlooks the course. The Elan Spa includes an Art Deco-inspired swimming pool, sauna, steam room, gym and jacuzzi. And there is always a host of activities to choose from, including off-road driving, falconry, gin making and a children’s club. The northeast of England has a reputation for being one of the friendliest parts of Britain, and a trip to Ramside Hall, not far from Durham, will confirm that. It is also one of the most beautiful resorts on our list, surrounded as it is by heather, woodland and waterfalls and located within a Unesco world heritage site. There are two courses - the Cathedral, which only opened in 2014, and Prince Bishops, which was established in 1996. The Cathedral, with its wide open fairways, is the easier of the two but on a windy day (and the wind does blow in this part of the world), nothing can be taken for granted. There is also the small matter of nine lakes to be negotiated. The Prince Bishops, on the other hand, features 50,000 trees as well as wonderful panoramic views of the Durham countryside. A new spa and health club offers a wide range of treatments, including mud baths, massage, a gym and a swimming pool, as well as an Asian-themed restaurant. The rooms include four-poster beds and some feature a free-standing copper bath and 90-inch TV. A number of famous people have stayed here, including Prince Andrew, and the hotel’s Bar of the Stars features caricatures of some of them. Locally-sourced Durham steak is the speciality at the Rib Room Steakhouse and Grill, and you can even view them maturing through the restaurant’s meat locker window. If you want something more informal, try Pemberton’s Carvery. 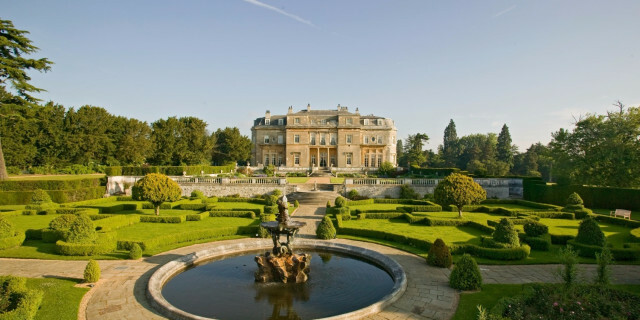 History oozes from every pore of the hotel at Luton Hoo. History, quality and class. So much so that it has become a favourite venue for a host of filmmakers. Stanley Kubrick chose it for Eyes Wide Shut with Nicole Kidman and Tom Cruise, while Hugh Grant was famously locked inside a vanity cabinet during one memorable scene from Four Weddings and a Funeral. Perhaps the most famous guest to stay here was Winston Churchill, whose portrait hangs on one of the walls. Each and every room has its own unique character, with furniture and fittings of the highest standard. The views from the rooms will take your breath away as you look out on grounds that were created and landscaped by Capability Brown and have been perfectly preserved. The quality of food is sumptuous and the choice of wine is mind-boggling. Luton Hoo even has its own taxis to ferry guests around the estate, whether it be from the hotel to the spa, or to the first tee at the wonderful tree-lined 18-hole golf course. The key to scoring well here is in finding the right part of the fast and sloping greens; finish above the hole on many of the surfaces and you are virtually guaranteed to take three putts. Telecommunications tycoon Terry Matthews created Celtic Manor for the express purpose of bringing the Ryder Cup to Wales and did so in 2010, when Colin Montgomerie led Europe to a dramatic victory sealed by Graeme McDowell. Sadly, the event was marred by torrential rain, but Matthews built something special and the Celtic Manor resort has been responsible for bringing millions of pounds into the Welsh economy. It is a spectacular venue, boasting a world-class hotel and two championship golf courses, The Montgomerie and The Roman Road. It has been voted Best UK Hotel Spa and offers a vast programme of activities and facilities for guests and their families. For starters, it has six restaurants, including the Terry M restaurant, named after the owner. There is also Rafters and The Lodge (which specialises in locally-produced pork and lamb). As you would expect, the accommodation on offer is of the very highest standard. Activities change daily and include falconry, archery, tennis and bowls, along with world-class entertainment in the evening. The spa, which includes a fully-equipped gym and swimming pool, offers every treatment known to man - and woman. 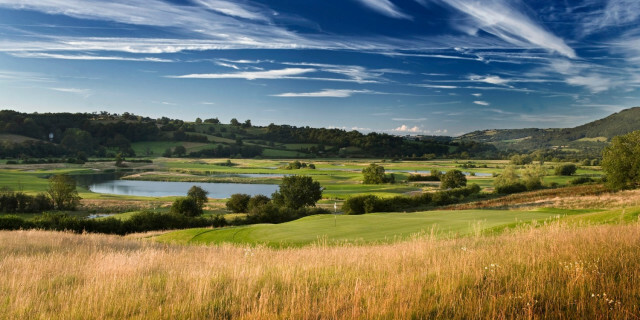 Luxury is the watchword at Celtic Manor - and it goes out of its way to cater for families. The spectacular Fairmont St. Andrews is a five-star resort hotel that is situated just outside the historic town, and enjoys panoramic views across the Home of Golf. 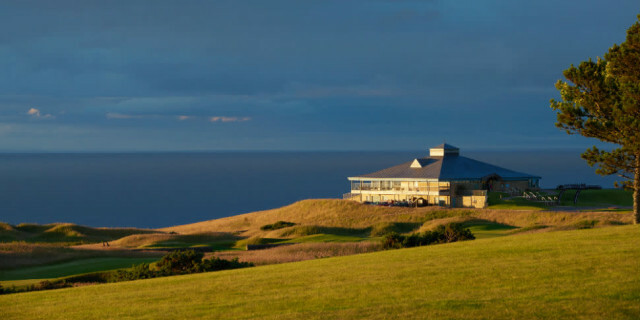 Opened in 2001, Fairmont boasts two superb golf courses, the Torrance - which previously hosted the Scottish Senior Open - and the visually stunning Kittocks, a layout that hugs the coastline. There are many activities on offer across the resort's 520 acres, but guests are specifically drawn to the luxury spa facilities, regarded as being among the finest in Scotland, offering serenity and relaxation before the backdrop of St. Andrews Bay. With excellent bar and restaurant options on-site, Fairmont is a tremendous destination for golfers, couples and families looking for a great setting to savour the unique atmosphere of St. Andrews. This luxury five-star golf and spa resort is a gem in the North East of England - situated on the border between County Durham and North Yorkshire - and boasts one of the largest and best rated spas in the country. In addition to that, the hotel's 18-hole championship golf course can be stretched to a whopping 7,800 yards from the back tees, but has a variety of lengths for each standard of golfer, making it a superb challenge for all guests. Wonderful restaurant and spa facilities complete a destination that draws guests far and wide, and delivers on the promise of quality and relaxation.